In 1982 Elio Revé made perhaps the most influential change of his illustrious career. He added bongó and tres, two critical elements of changüí which had been missing from the charanga instrumentation, and he also three trombones, one of whom, Ignacio Herrera, contributed a handful of genius arrangments which finally realized Revé's vision of fusing Havana popular music with the essential elements of flavor of Guantánamo changüí. Revé called this monstrous new instrumentation charangón, and Cuban music has never been the same since. Bio by Michelle White & Kevin Moore: Elio Revé Matos was born in Guantánamo, the home of changüí, in 1930. He became an accomplished timbalero at an early age. In the mid-1950s he went to Havana to start his own group, and in 1956 the first Orquesta Revé was born. Unlike son, which had moved from the Oriente province to Havana and taken the country by storm in the 1920s, changüí had remained in eastern Cuba and Elio's idea was to create his own style by infusing charanga music with the flavor of changüí. 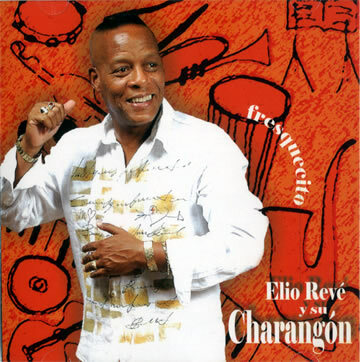 Nevertheless the first decade of Revé's music was charanga in terms of instrumentation and rhythm. In 1958, members of Revé split off to form Ritmo Oriental. 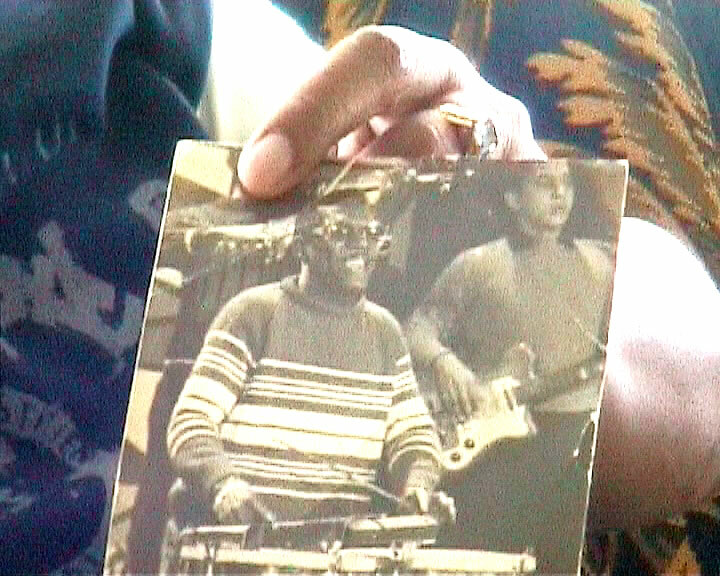 Chucho Valdés passed through the group before Revé hired a new pianist, Pupy Pedroso, and a new musical director, bassist Juan Formell. Formell added electric guitar and created a new style called changüí 68, which was even less like changüí that Revé's previous music. In 1969 Formell, Pedroso, and several other key Revé musicians split off to form Los Van Van. During the 1970s, members of Revé went on to form important groups such as Orquesta 440, but in 1982 Elio Revé made perhaps the most influential change of his illustrious career. He added bongó and tres, two critical elements of changüí which had been missing from the charanga instrumentation, and also three trombones, one of whom, Ignacio Herrera, contributed a handful of genius arrangments which finally realized Revé's vision of fusing Havana popular music with the essential elements of flavor of Guantánamo changüí. Revé called this monstrous new instrumentation charangón, and Cuban music has never been the same since. Ignacio Herrera stayed for only one album and was replaced as musical director by Juan Carlos Alfonso, whose arrangements kept Revé at the top of the charts until 1988 when he split off to form Dan Den. Without missing a beat, Revé brought in Tony Gómez, the arranger of Suave suave and Mi salsa tiene sandunga. He also continued to sport one of Cuba's best lead vocal lineups, replacing Héctor Valentín with Yumurí Valle, to cite just one example. A look at the Timba Genealogy Chart shows the central role played by Orquesta Revé in the development of modern timba. The majority of major bands can trace their genealogy back to Revé and our chart isn't even complete, as we failed to show the connections to Ritmo Oriental, Irakere, Orquesta 440 or Yumurí y sus Hermanos. We'll never know how Elio Revé would have responded to the timba revolution of the late 90s because his live was cut tragically short by a car crash. The band was taken over by his son Elito, who inherited both his father's gruff voice and his astounding ear for talent. Elito is a graduate of the music schools but also owes much of his musical education to his father. He began at the age of 20 as pianist for the charangón and also worked as arranger for many of the band's hit songs. Elito has employed many extraordinary singers, such as El Gallo, Lele Rasalps and El Nene, and several brilliant musical directors, but none greater than the present one, bassist Aisar Hernández, whose work on Fresquecito made it one of the best ten albums of the 2000s. Elio Revé Jr. is also a founder of the Changüí Festival which is held annually in December in Guantánamo. He has recorded three CDs and one DVD, which I highly recommend, with the charangón and is soon to release another CD with 5 live songs and 5 new songs and an accompanying DVD. The charangón celebrated 50 years in 2006 and continues to be as good, and as popular, as it's ever been.